We performed our first, fee paid, inspection in 1986 for the Resolution Trust Corporation during the S&L crisis. We take great pride in being the most qualified and experienced building inspection firm in our market. We are fully licensed and insured to provide any inspection you may need – pre-purchase, due diligence home/building inspection, WDO/termite, indoor air quality, water/lead testing, radon testing, code compliance, fire, safety, ADA, cost reserve schedules, repair/cost to cure estimates, asset verification, insurability/underwriting compliance inspections, cost replacement valuations, FHA 203K, weatherization, constructability reviews, new construction inspections, construction management and expert witness testimony…timely and professionally. In this podcast Wally Conway makes the case for the Pre-listing home inspection. We at Home Inspection Carolina and Ask the Charlotte Inspector recommend Wally’s Book; The Happy Home Inspector. As a respected expert in the discovery, disclosure, and documentation of residential concerns, Wally has authored and instructs numerous courses approved by the Florida Real Estate Commission for the Continuing Education of Real Estate Licensees. 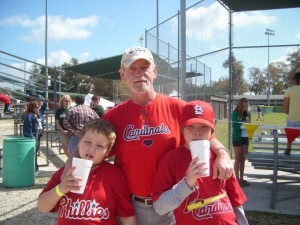 As a respected entrepreneur and marketing mogul, Wally serves as a respected consultant to a broad range of businesses. 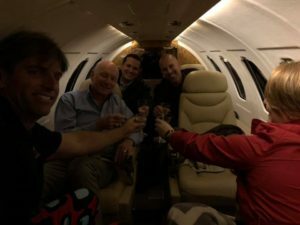 The underlying theme to Wally’s approach to business growth and development is that beneath every business expense lies a potential profit center. Drawing from his own rapid business growth, Wally now shows companies how to grow from “Me to We”. Believing that entertainment is a vital element in education, Wally continues to hone his presence and presentation skills. He has been a featured inspector on the HGTV series “House Detective” as well as a co-host on the DIY series “Finders Fixers”, hosts a weekly radio show called “The Home and Garden Show” (WOKV 104.5 FM), and speaks regularly, having delivered over 627presentations to real estate professionals, inspectors, builders, buyers, and other business owners. He is also a frequent contributor to an assortment of media and corporate training programs. 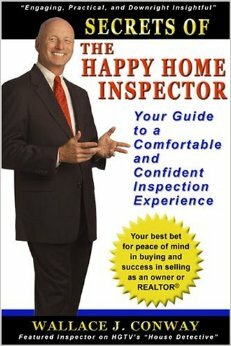 Get a copy of Wally’s must-read book, “Home Inspection Secrets of a Happy Home Inspector” by visiting www.WallyConway.com. Through a mix of media, Wally has brought his unique perspective and compelling messages to millions!